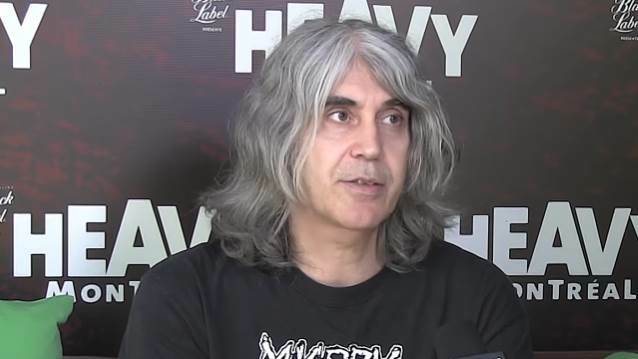 On July 29, Jimmy Kay of Canada's The Metal Voice conducted an interview with VOIVOD drummer Michel "Away" Langevin at the Heavy Montreal festival in Montreal, Quebec, Canada. You can now watch the chat below. 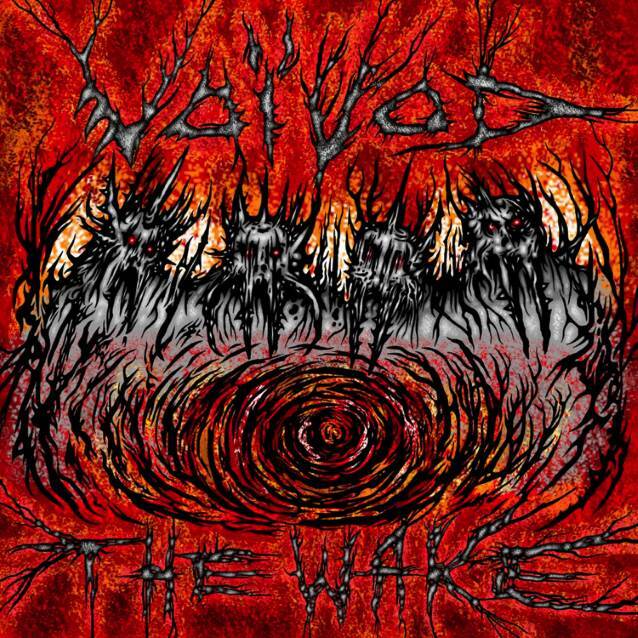 Speaking about VOIVOD's upcoming album, "The Wake", Away said: "'The Wake' is more of a prog-metal album, similar to 'Phobos'  or 'Dimension Hatröss' , with a long story all the way through. It's very intricate. But there are still, of course, the thrash metal elements and the punk side as well. It's different than the last LP, 'Target Earth' . It's similar to 'Post Society' that we released two years ago, the EP; it's sort of a continuation of 'Post Society' with the new lineup. If anything, it's sort of a new direction — sort of 'fusion metal' in a way. We work a lot on the music and the lyrics and all that. There is a very good chemistry right now with the band." Away also talked about the contributions of guitarist Daniel "Chewy" Mongrain, who joined VOIVOD in 2008 as the replacement for the band's founding axeman Denis "Piggy" D'Amour. "I can still hear the VOIVOD signature and Piggy's chords in Chewy's style, but Piggy was a bit more old school, [like] MOTÖRHEAD and such," the drummer said. "Chewy is more of a newer school, with MESHUGGAH… And he was also, of course, part of MARTYR and even GORGUTS. And he played with CRYPTOPSY. So it's a new edge. But what I really like is more of his jazzy style in a way. It's not jazz, but it makes me play differently. 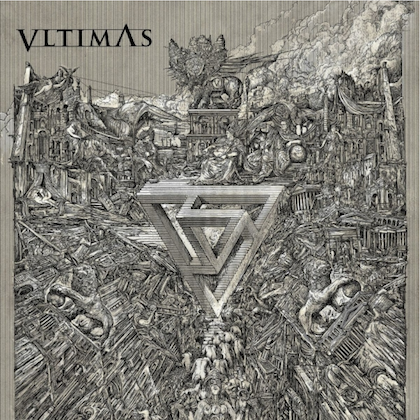 So he brings a lot to the new style of VOIVOD." "The Wake" will be released on September 21 for via Century Media Records. The disc was recorded and mixed by Francis Perron at RadicArt Recording Studio in Canada. 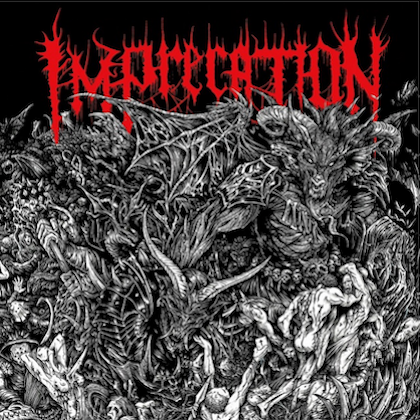 The album's artwork was once again created by Langevin and can be seen below.